Wader Quest: A Great “Thank you” from the Great Knots and other shorebirds! A Great “Thank you” from the Great Knots and other shorebirds! 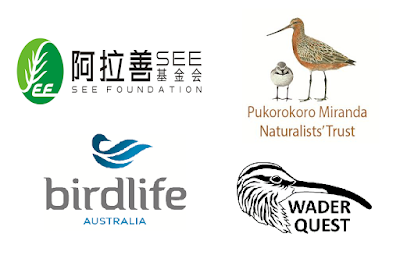 Wader Quest supported the Great Knot Food Drop team in China by making a donation of £1,000. Here is a message from the team. Thanks to your generous support many Great Knots, Bar-tailed Godwits and other shorebirds have been able to continue their migration from the Yellow Sea to their Arctic breeding grounds. Great Knot is an endangered shorebird endemic to the East Asian-Australasian Flyway which feeds principally on small clams. During northward (spring) migration in 2018, they faced potentially serious food shortages at two of their main staging sites in northeast China. Surveys in March and April 2018 revealed that prey stocks were very low – apparently associated, at least in part, with severe cold weather during the 2017/18 winter. If shorebirds are unable to put on sufficient fat to fuel their migration we know from studies elsewhere that this results in increased mortality. In view of the endangered status of Great Knots, and the ongoing population decline (the bird is listed as ‘critically endangered’ in Australia) the local community decided to provide supplementary food for the birds to help them on their migratory journey. 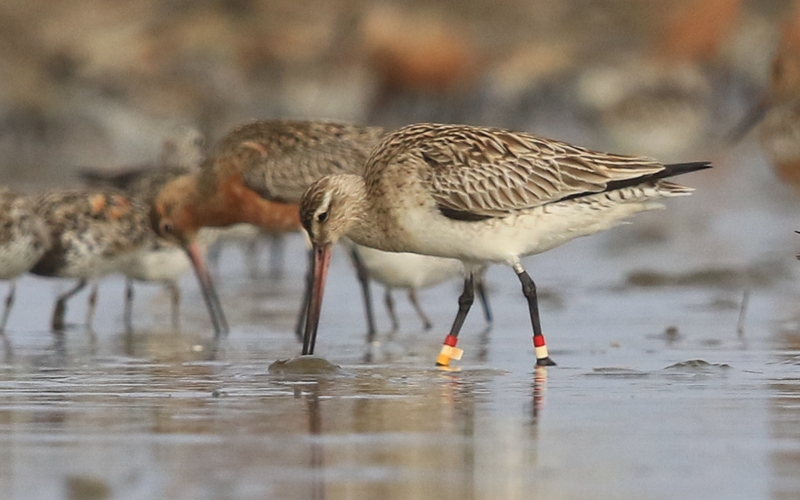 The small clam Potamacorbula laevis, which is widely distributed along China’s coast, is a major food of the Great Knot and an important item in the diet of a number of other shorebirds, including Bar-tailed Godwits. 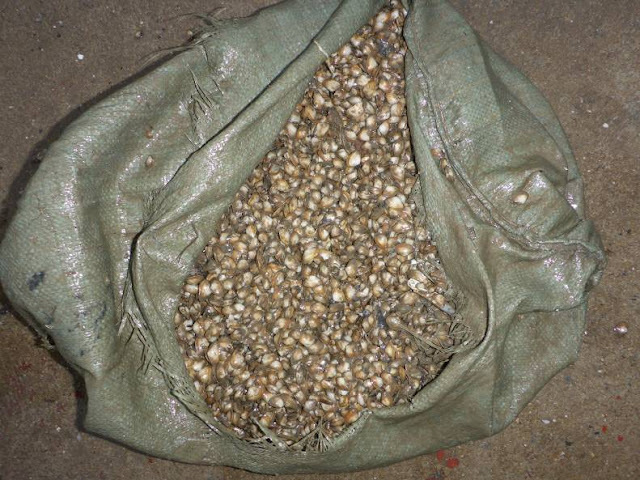 Farmed clams were sourced from deep water sub-tidal areas in the Bohai where harvesting would not take food away from other shorebirds. The clams were then dispersed over tidal flats from a boat at high tide. Response from the birds was immediate – as soon as the tide dropped birds quickly found the food supply and began feeding. Highest bird numbers were usually seen on the second day after spreading clams as ‘word spread’ about food. By day three most of the food had been consumed and numbers dropped off until the next delivery. Many thousands of birds benefitted from the supplementary feeding (up to 13,000 were present at one site on one day). Birdwatchers in Australia, New Zealand and elsewhere will now play a vital role by reporting marked birds so that researchers can assess the long-term success of the project. Hopefully birds seen at the feeding sites will be seen later this year at their non-breeding areas – confirming that they successfully completed their migrations. 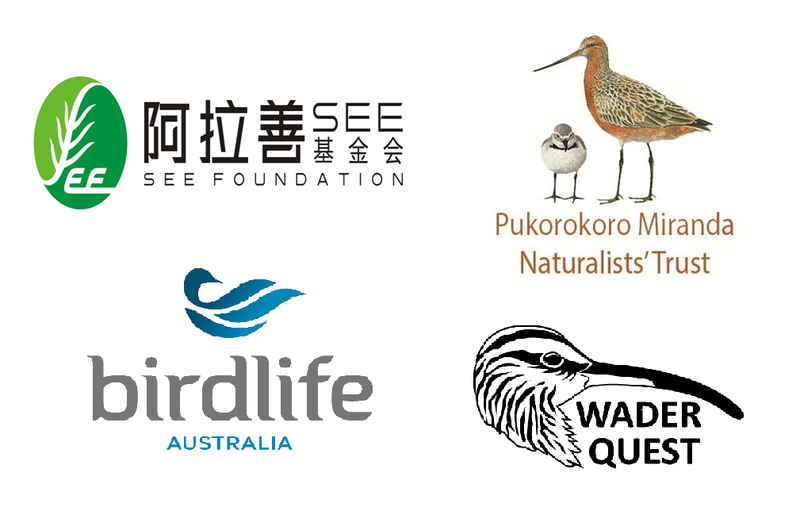 BirdLife Australia and Wader Quest. Administrative support was provided by the Hong Kong Bird Watching Society. All photos supplied by the Great Knot Food Drop team.